John Izard Middleton was an American archaeologist and artist. Born just outside Charleston at Middleton Place, he was the son of Mary Izard and Arthur Middleton (signer of the Declaration of Independence). 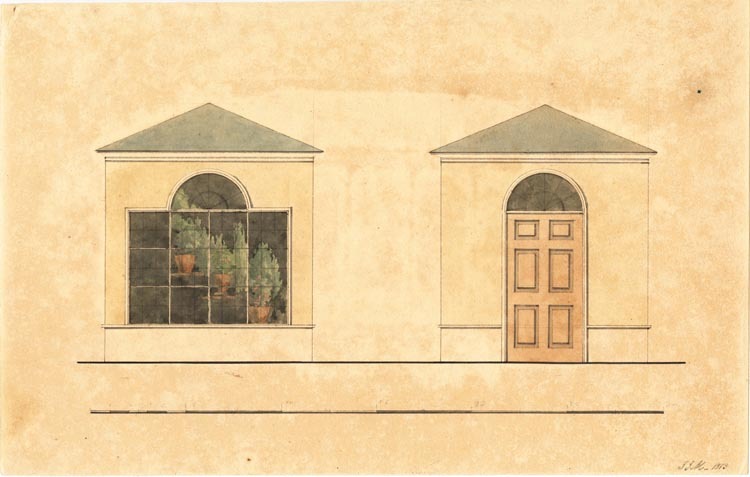 These measured architectural drawings of Adamesque style greenhouses are in ink, watercolor and pencil. The main elevation has four Roman Doric columns in antis with glass in between, and a Palladian window is at one end of the building. Middleton Greenhouse. Courtesy of Special Collections at the College of Charleston.